Methamphetamine is one of the most dangerous illegal street drugs. According to the Substance Abuse and Mental Health Administration (SAMHSA), from 2007 to 2011, there was a rapid rise in hospital visits due to meth abuse – from 68,000 in 2007 to 103,000 in 2011. A further study conducted by SAMHSA in 2014 showed that as many as 569,000 adults in the United States had used meth within the last month. The highly-addictive nature of this stimulant quickly leads to an addiction. Not only can continued use of the substance cause severe problems throughout the person’s life, but meth withdrawal can be hellish to deal with. Meth side effects on a person’s long term health is an area of great concern as attitudes change due to the dependency, often leading to criminal activity, and even the abuser’s physical appearance can be greatly altered. 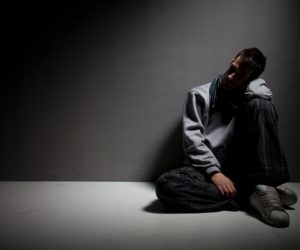 In this article, we will look at the various effects of meth abuse. In 2014, a total of 1.6 million respondents to the NSDUH survey admitted to having tried stimulants such as meth non-medically in their lifetime. According to the CDC, 3,728 Americans died from a meth overdose. Most of the meth overdose related deaths did not involve the use of other drugs. In 2008, 6.1% of admissions to rehab centers were for a meth addiction. Not every person experiences the same withdrawal symptoms from long-term meth abuse. A person’s age, how much meth was taken frequently, previous meth detoxes and how long the abuse of meth happened for can influence withdrawal symptoms. Even in short-term use, a person can experience depression, fatigue and an increase in appetite. The biggest risks in stopping meth are the depression that can lead to suicide as well as the risk of relapse. It is advised to seek the help of professionals at White Sands Treatment Centers to help you or a loved one through the dangers of withdrawal from meth. Meth addiction does not have to be a life sentence. Find help at White Sands Treatment Center and help get yourself or your loved ones away from the grip of addiction.